Friends, today marks the 7th birthday of Boston Mamas! 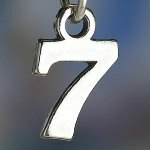 I remember so well where I was 7 years ago: finishing my postdoctoral fellowship, feeling my way through new motherhood, and finding myself utterly amazed when I started blogging and discovered this incredible community; both via readers who started responding to my work and fellow bloggers. I never could have predicted the wonderful friendships and opportunities this blog would bring over the following years. I'm so grateful to all of you for being a part of it. Because my mind is constantly in What's next? How can I make this better? mode, I've been thinking a lot about the site and how to evolve things. I believe in the power of setting intentions, so I wanted to share seven birthday intentions I have for the site this year. I would love to hear your thoughts on any or all of them! 1. Make new hires. A few weeks ago I posted a help wanted call for an editorial assistant and ad sales manager and was overwhelmed (in a good way!) by the response. I want to shore up these two hires ASAP and get this ball of awesomeness rolling! 2. Feature more of your voices. I've been brainstorming a lot of editorial ideas and one of my goals is to feature more of your voices. I'll be sharing more on that soon! 3. Engage better on Facebook. In some ways Facebook is so awesome and in other (seemingly simple) ways, it is not. For example, mysteriously, I receive some but not all messages and comment updates via the Boston Mamas Facebook page and this means that when I go to the page direct I often realize that I have left people hanging. Which makes me feel horrible! I want to get better at managing and engaging on the Facebook page since this is clearly a space where people like to hang out and chat. 4. Pretty things up around here. I'm pondering a redesign right now to pretty things up around here. It's the sort of thing I could sit down and do myself but my plate is very full right now and I just can't get around to it. I'm going to take Asha's brilliant advice: to focus on the things only I can do and outsource elsewhere. 5. Help facilitate connections. I think one of my greatest strengths is as a connector of awesome people. I want to work on facilitating more connections, whether that's moms searching for their tribe or local mamapreneurs looking for opportunities. 6. Grow the community. This community is awesome because of you all; I would love for it to continue to grow. Please help me today and moving forward, whether that's by simply telling friends about the site, sharing posts you love, encouraging friends to like the Facebook page, or whatever other way feels natural and fun for you. 7. Remember the joy every day. I'll admit; it's easy for me to get bogged down in the day to day minutia of wading through pitches, dealing with technical issues, and so forth. But at the end of the day, there's so much joy in this work and I want to be mindful of it every single day.